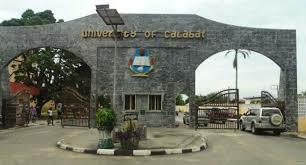 The management of the University of Calabar (UNICAL) has explained that the delay in issuing certificates to graduands is due to the ongoing school fee payment verification exercise. This is coming on the heels of complain by prospective National Youths Service Corps (NYSC) members over delay in issuing certificates. Vice Chancellor of the University, Prof. Zana Akpagu who debunked the rumor that he was yet to sign the certificates explained that all the certificates have been signed but must undergo verification to ensure that fee evaders are not cleared for NYSC. Prof. Akpagu maintained that the decision to verify the certificates was arrived at the last Governing Council meeting of the university after it was observed that only seventeen percent of the students have paid school fees. He further said that, the university has observed that there is massive fee evasion by students hence, the compulsory screening to send only qualified students for service. According to him “We have observed massive fee evasion. Certificates have been signed by VC but are being scrutinized by fee portal managers to ensure that only those who have paid are given certificates”. Assuring students to remain calm, he said that there was no cause for alarm as those who are not owing the University will be cleared for service. He added that normally, certificates are issued during during convocation as NYSC only requires testimonials or statements of results. “The exercise will eliminate the incidence of fake graduates and ensure that only bonafide graduates are awarded the University’s degrees”, he added.